Versatility is key for the most unpredictable of seasons. 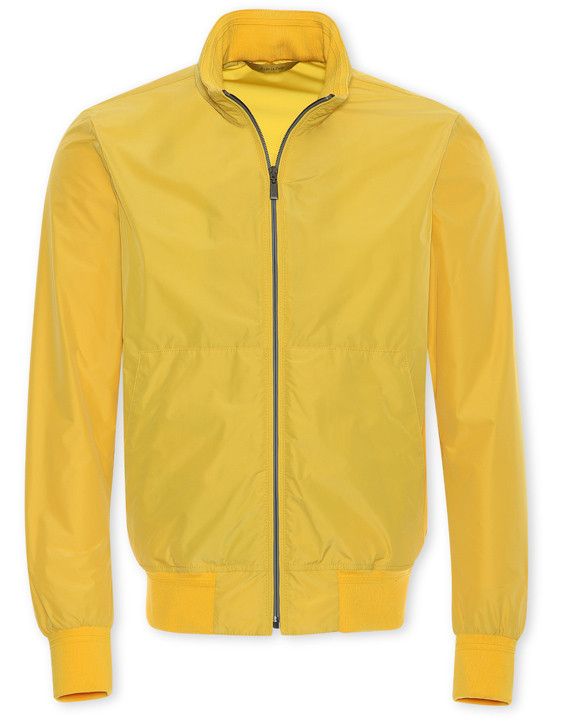 This rain jacket comes in an eye-catching shade of yellow and is made from a water-resistant technical fabric with practical details like a fold-away hood in the collar and knit inserts. Comfort, style and elegance all in one refined garment that will quickly become a go-to in your outerwear collection. This rain jacket is made from a waterproof material, making it a must-have for your Spring wardrobe. It features an extractable hood in the collar and the item can be packed into the hood for a contemporary and compact outerwear option for everyday wear or travel. Its eye-catching yellow shade will add a dynamic touch to any of your casual ensembles. 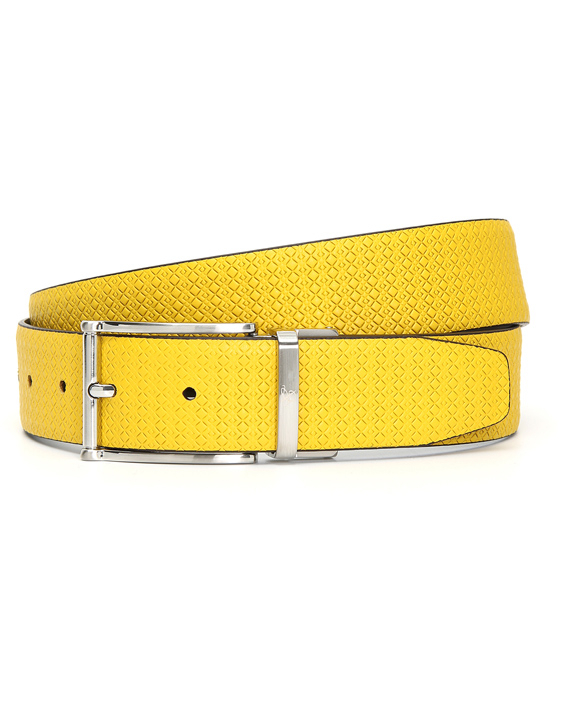 This elegant reversible belt is yellow with the Canali texture on one side and dark brown smooth leather on the other, allowing you to create a number of different looks. It pairs perfectly with a dress shirt and white sneakers for the ideal weekend or travel look. 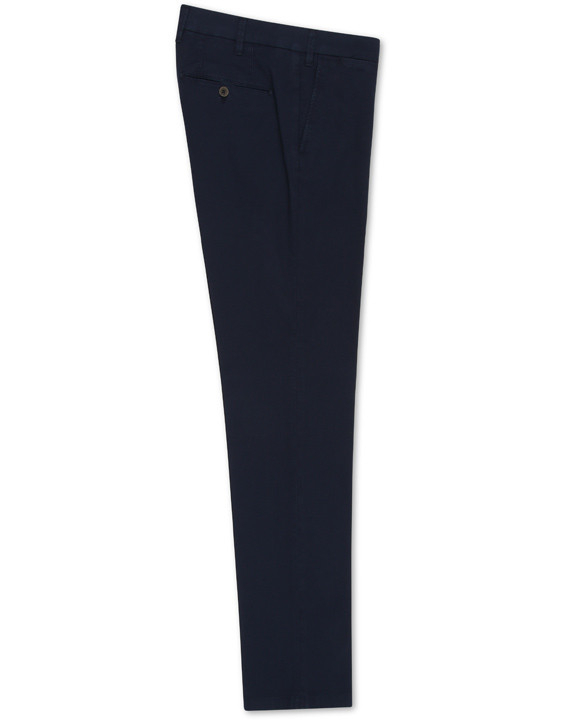 This cotton pant is a contemporary take on the classic chino, featuring a distinctive blue mesh texture that adds a dynamic touch to any ensemble. 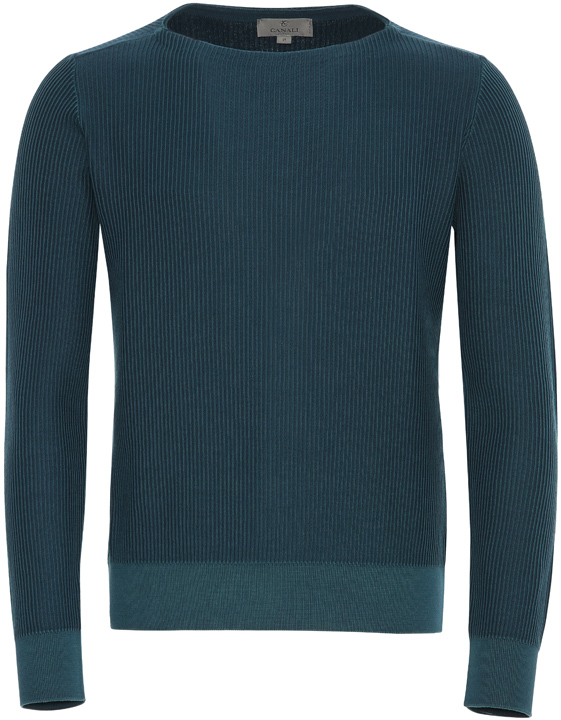 This style is a versatile addition to your Spring Summer wardrobe, pairing perfectly with a sport blazer or a polo shirt. 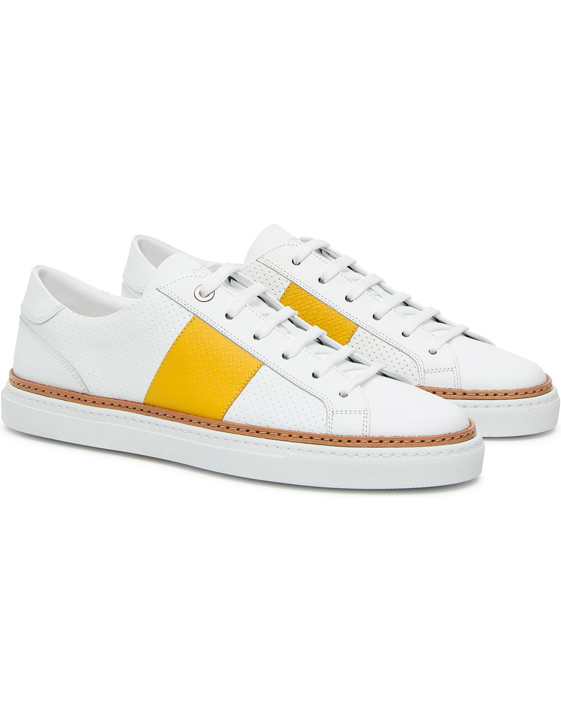 This refined leather sneaker features perforated inserts and an eye-catching yellow stripe down the side for a contemporary accessory that pairs well with a number of different ensembles. The style goes perfectly with jeans or chinos and a button-up shirt or polo for the ideal weekend aesthetic.